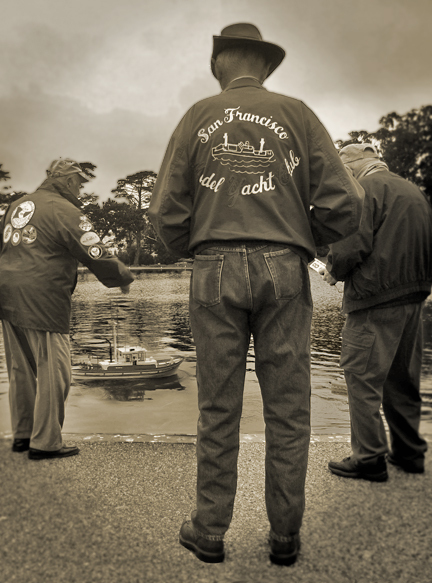 There are at least a dozen yacht clubs in the Bay Area but my favorite is the San Francisco Model Yacht Club. The SFMYC is well over a hundred years old and has its own beautiful members-only clubhouse which was built in the 1930s. The model ships and submarines are now powered by not only wind but also by electricity, steam and even gas. The club holds a regatta at least once a month. Despite its long heritage, the SFMYC is by far the easiest yacht club to join. Membership is open to anyone and the $2 a month dues buys you some of the best sailing advice possible from its senior members.